BBT nv // Blog » Big reunion from our 1952 convertible with its former owner. 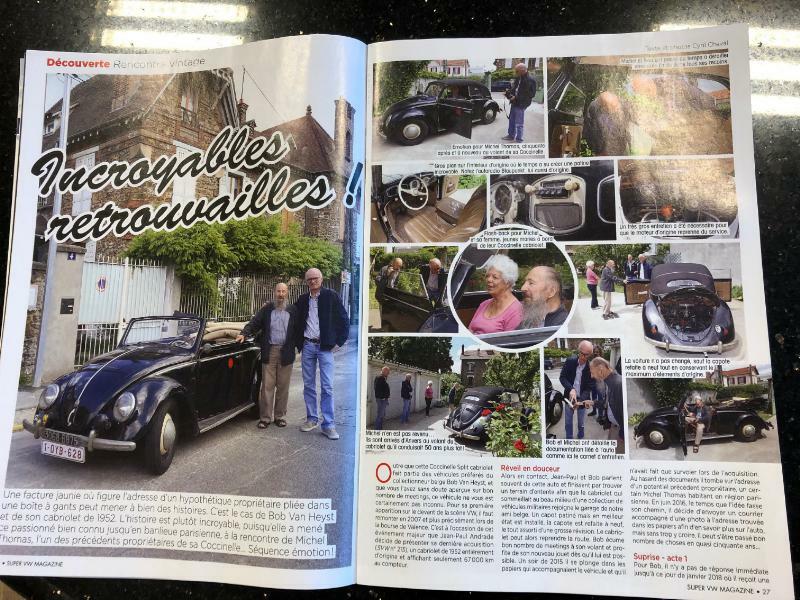 Big reunion from our 1952 convertible with its former owner. 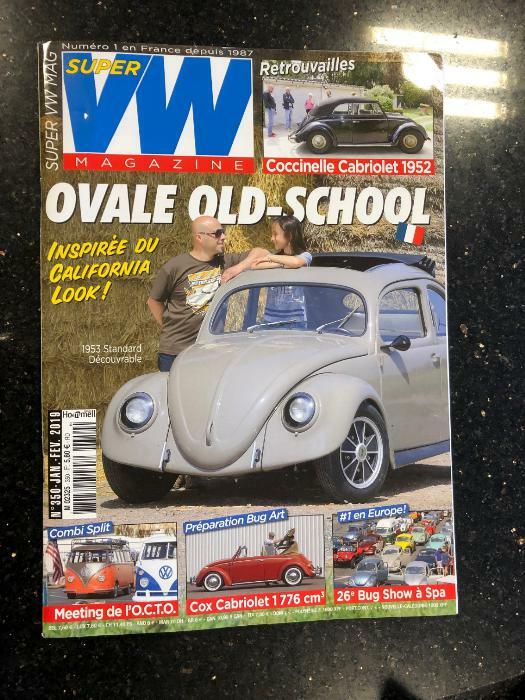 Leading French VW magazine Super VW mag featured in their 350th edition (February 2019) our reunion with Mr Thomas in may of 2018 with our all original 1952 split window convertible. 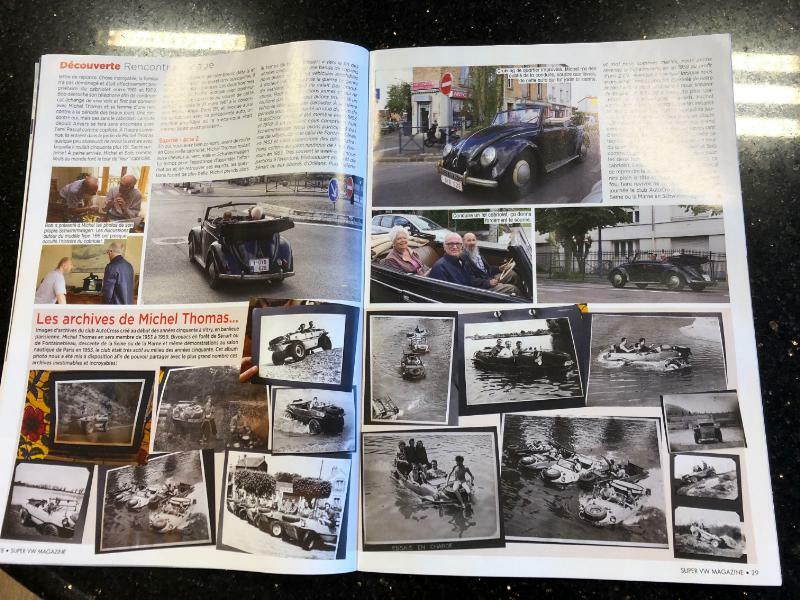 An unbelievable emotional visit is immortalised now in a paper edition of the Super VW magazine, Thanks to Cyril and Julien David for for the pictures the feature and BBT Pascal to accompany Bob on the drive to Paris with his pride. And very special thanks to Mr Thomas who used the 1952 vert as a daily driver between 1961 and 1969.